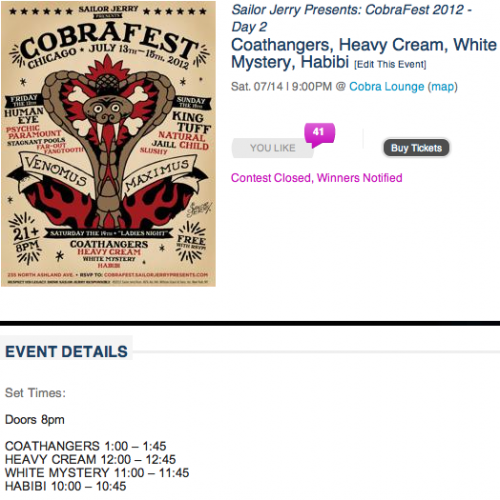 White Mystery plays Sailor Jerry’s Cobra Fest on Saturday July 14, 2012. 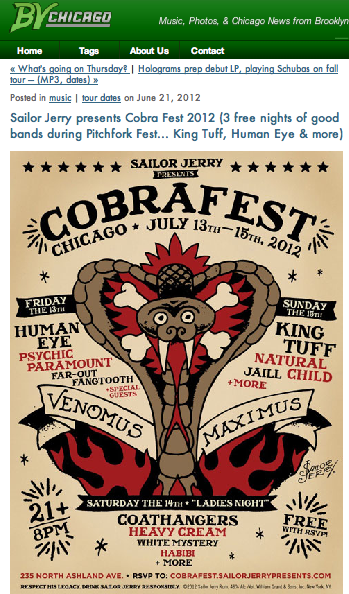 RSVP here! 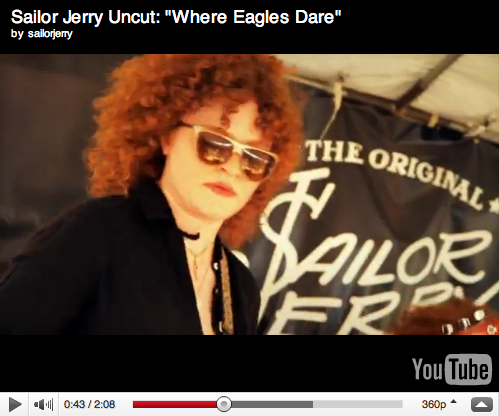 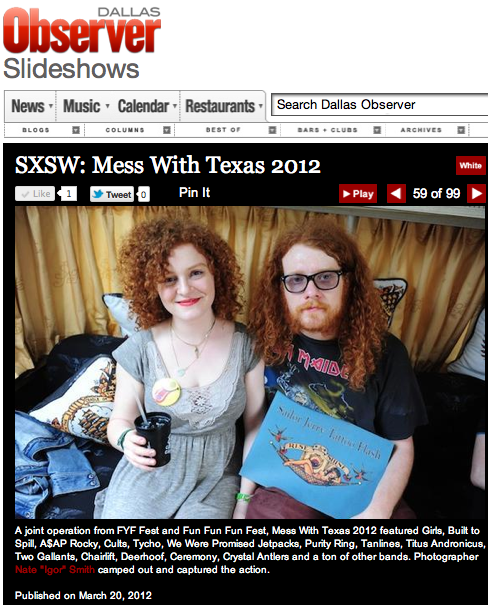 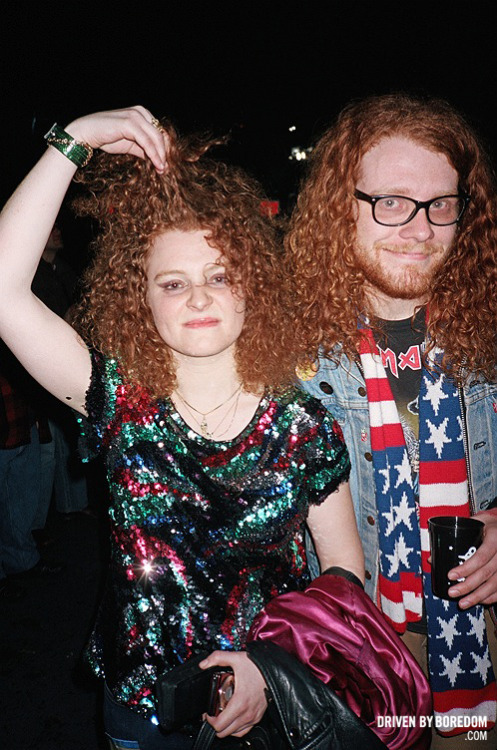 Recognize two redheads in this new Sailor Jerry commercial at the 42 second mark? 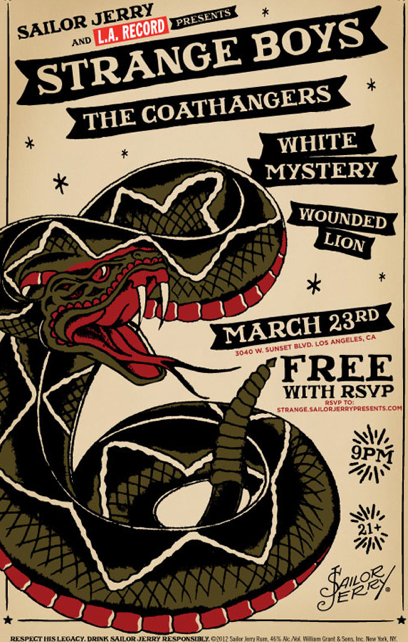 Wow, a free Sailor Jerry presents show in Los Angeles with The Strange Boys, Coathangers, White Mystery and Wounded Lion! 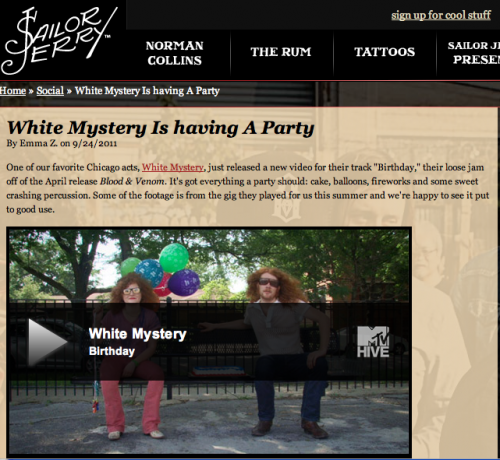 RSVP here. 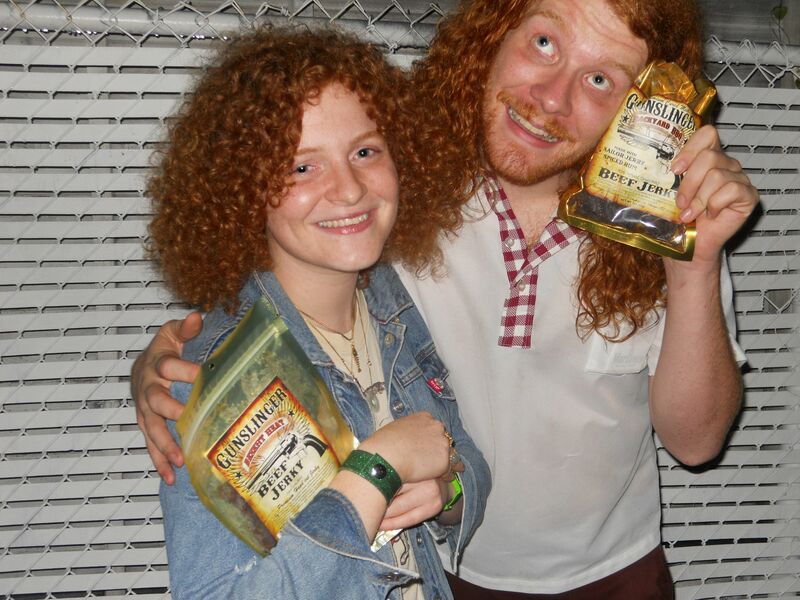 Gunslinger Jerky makes tasty snacks, including a Sailor Jerry flavor, perfect for these two red-heads’ road-protein. 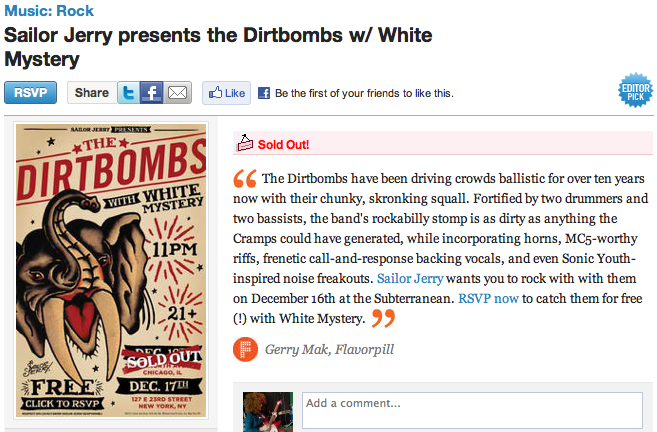 Thanks for the hookup!